AFL Football Fans , wearing their football jumpers , jerseys , guernseys , will be watching this weekends Preliminary Finals , willing their teams to win . 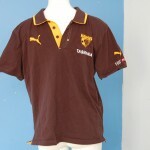 No bigger prize exists for ardent footy fans , than their team being successful in the hunt for the AFL Premiership Cup . Can Collingwood continue defeating all challengers , and win back to back premierships ? 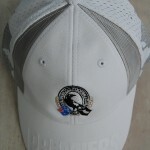 Will the Hawks cause an upset on Friday night , and defeat the Magpies ? 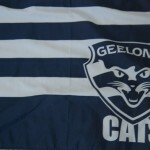 Geelong have proved largely unbeatable this year , will they win on Saturday ? 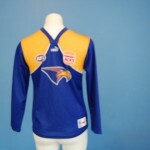 The West Coast Eagles have crossed the Nullabor many times , will this journey be a successful one ? By Saturday night , all will be resolved . May your team win . This entry was posted on Wednesday, September 21st, 2011 at 9:23 am	and is filed under AFL, football jumpers, NRL. You can follow any responses to this entry through the RSS 2.0 feed. Both comments and pings are currently closed.